I have found it really hard to narrow down the books which have most helped me in my day to day job. It has made me realise just how many books that I have read around this area. Whilst some of these helped me greatly as a student witting assignments and dissertations there are many that I continue to refer back to for both personal development but to also provide further information to other social work practitioners or students that I speak to. 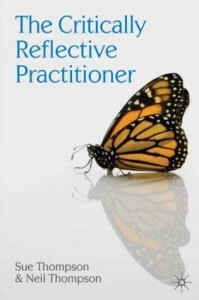 The Critically Reflective Practitioner. I have read many of Neil Thompson’s books and I really like the way in which he explains this. During my degree and in my first year of being a newly I used this book as a reference a number of times. I also incorporated it into my supervisions when I first started. In social work there are a number of demands and challenges that are placed on us. It is not uncommon for us to get caught up this and it is common that we forget to take time and reflect on what is happening and the options that are available to us. This can sometimes lead us to make quick decisions or alternatively go home that evening and worry. This book really helps to make you think about what is happening and helps us to incorporate reflective time into our day to day practice. This is such valuable times for social workers and it is important that we ensure that we are reflective, which will also help us to improve our own practice as well as benefit the children and families that we work with. 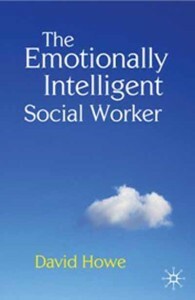 The Emotionally Intelligent Social Worker. I initially came across this term during a module withi n my degree. I was aware of the importance that as a social worker it is vital that we are aware of our emotions but also the emotions of those around us. When I undertook my child protection placement I spent a lot of time with the families that I was working with who were all experiencing a wide range of different emotions e.g.angry, anxious, depressed and upset. I found that all these emotions in one day was quite difficult to manage. I found that I was trying to prepare myself for the next visit and the emotions that I often came across with that particular person. This book helped me to understand these emotions and people’s understanding and the psychology behind their emotions and thoughts but also my emotions and thoughts. This books helps to explain how our emotional intelligence and understanding can also help those around us and enhance our practice. 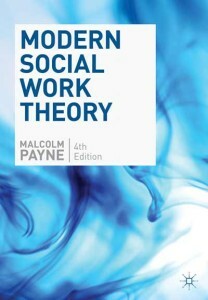 Modern Social Work Theory. I have rea d Malcolm Payne’s 2005 addition of this book. 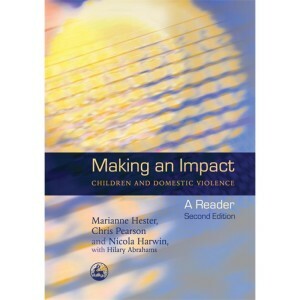 It was very beneficial to me as a student social worker and again a book that I continually referenced in my work. He has published this more recent book in 2014 that I am now going to recommend. This book focuses and clearly explains a wide number of theories that we use as social workers and I found this really easy to incorporate with my written work. This new addition also focuses in more dept around solution focused work, which as I explain later is becoming very popular in the UK. Making an impact. Children and domestic violence. 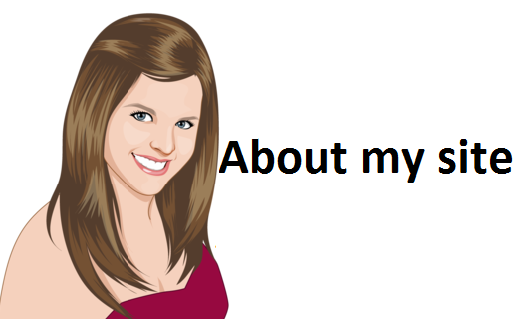 I chose to do my dissertation around domestic violence and the impact on children. I found this book incredibly useful and informative. It looks into the outcomes of research and the consequences that domestic abuse can have on children. I think that it provided a good overview of the different strategies that children can use and also the long term effect on them. It looks into legislation although it is important to be aware that many changes or amendments may have taken place since the book was initially written. All in all a good read and it really helped with my understanding around this topic and opened my eyes to the child’s perspective. 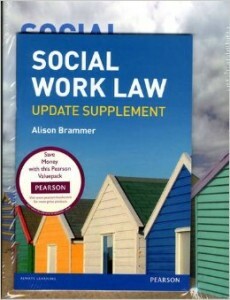 Social Work Law with Updating Supplement . I’ll be completely honest here, law was not my best area when I was studying for my social work degree. Remembering dates and names was not my specialty and I was not looking forward to my law exam. However, I came across this book. This is the newest edition with the relevant updating information around children and families and also vulnerable adults. This book helps to explain how exactly the law applies to our job and breaks this down to the available options. It really helped me when I was a student but also in my first year of practice when I was still learning about this. A Child’s World. A comprehensive guide to Assessing Children In Need. Unfortunately with the day to day demands of social work sometimes we do find ourselves being pushed away from the most important thing ‘the children that we are there to safeguard’. We are often dealing with deadlines, lack of time and other complicating factors that are waiting for us. I have found that this book really helps to focus on the assessments of the children and keeps them in the center at all times. It is informative and provides many suggestions of how we can implement this into our work. 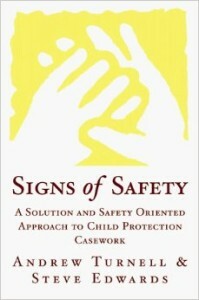 Signs of Safety: A Solution and Safety Oriented Approach to Child Protection Casework. I could talk all day about Signs of Safety.This is in the center of may day to day work and I feel very strongly about the positive outcomes that incorporating this into my practice has for the children and families that I work with. This type of practice is becoming very popular within the UK and many Local Authorities are now investing in specialist training for their social workers. This book really helps to unpick this solution focused practice and provides many techniques that you could try. It focuses on risk assessment whilst balancing risk factors against protective factors. This way of working also allows practitioners to be more reflective and child centered. I love using direct work with the children and the use of solution focused work has really helped me to learn how to tailor it to each individual. This book will open your eyes to this way of working. 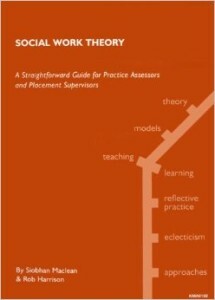 Social Work Theory A Straightforward Guide f or Practice Assessors and Placement Supervisors. When I started as a newly qualified social worker I was shown this book by my Senior Practitioner at the time. It is recommended for practice assessors and supervisors so I would recommend this as a book to read after you have learnt about the basic theories but, it is pretty easy to understand if you are starting from scratch. This book goes into more detail but it also explains how this can be used in our day to day practice. I found that this was easy to read and well set up. I have recommended this to many people since and will continue to do so. The Huge bag of worries. This book is about a young girl who has a lot of worries that follow her in her bag and she can’t get rid of them. She speaks to her neighbour about these who wants to listen to her. It teaches the children about the importance of talking about our worries which helps us to manage them, and that there are people who will listen. An easy read book that I read with some of the children that I work with. A volcano in my tummy. This is a book that is created to help children to work through the anger and feelings that they have. It provide activities, stories and tools to use whilst learning with a child friendly approach. It helps to explain to children that anger is a common emotion that we can have and provides strategies to help them manage these feeling. As a social worker this can be incorporated into the direct work that we do with children and can be very beneficial for them. Helping children to build self esteem. An activity workbook. This has a wide variety of activities to help children with their self esteem and confidence through a number of different resources. This book has been recommended for children between the ages of 7-11 years. I have found things in here that have been very useful for a number of the children that I work with. There has also been a number of other books written around different areas which I have also used which are also activity based. Helping children to cope with change, stress and anxiety. Activity book.